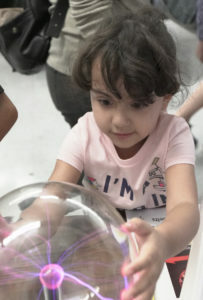 Physical Sciences faculty, along with the postdocs and students in their research groups, are making breakthroughs on a daily basis. Below are some highlights of their trailblazing work. 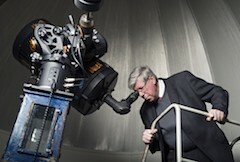 Christopher Russell Ph.D. ’68, a professor in UCLA’s Department of Earth, Planetary, and Space Sciences, is the principal investigator on the NASA Discovery Program’s Dawn mission, which orbited and explored the giant protoplanet Vesta in 2011–2012 and is now exploring the dwarf planet Ceres. Next up for Russell? A mission to the asteroid Psyche. Click here to read more. It’s in the air, it’s on your car, it gets up your nose. It’s been with us for eons, and it’s not going away anytime soon. It’s dust, and we need to understand it better to battle climate change. 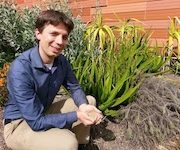 Jasper Kok, assistant professor in UCLA’s Department of Atmospheric & Oceanic Sciences, is doing just that. Click here to read more. 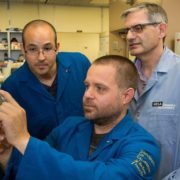 Research by UCLA geochemists has found that the moon was formed by a violent, head-on collision between the early Earth and a “planetary embryo” called Theia, approximately 100 million years after the Earth formed. Click here to read more. An effort called synthetic biochemistry could be used for many industrial products, including producing plastics, flavors and scents, and perhaps eventually biofuels. 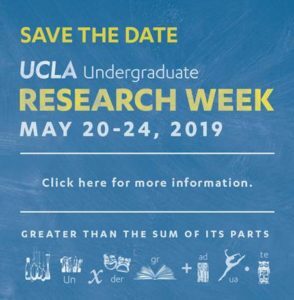 This research is being led by professor of chemistry and biochemistry James Bowie, a member of the UCLA–Department of Energy Institute’s Division of Systems Biology and Design and UCLA’s Molecular Biology Institute. Click here to read more. 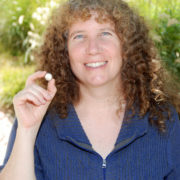 Sarah Tolbert, a professor of chemistry and member of the California NanoSystems Institute, explores the fundamental questions affecting complex materials so small that they are measured at lengths less than one-thousandth the thickness of a human hair. 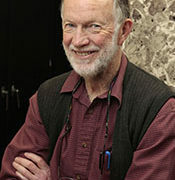 Tolbert’s work, while wide-ranging, is based on one of the basic principals of nanoscience: that larger materials, when made very small, can have very different properties. Click here to read more. 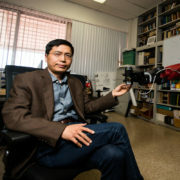 The UCLA Center for Vision, Cognition, Learning and Autonomy, or VCLA – led by Statistics professor Song-Chun Zhu – specializes in the intersection of cognition, artificial intelligence and vision. Over the years, the lab has received millions of dollars in research grants to develop intelligent computer systems that learn the way humans do. Click here to read more. 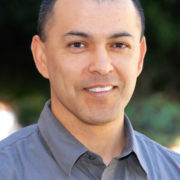 Jorge Torres, a professor in the Department of Chemistry & Biochemistry, works to understand the cell processes that lead to cancer. His lab investigates mitotic spindle formation during cell division and its misregulation in human diseases. The lab’s major focus is to understand how multiple mechanisms and enzymatic activities coordinate the formation of the mitotic microtubule spindle during cell division. Click here to read more. 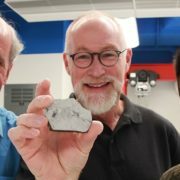 Cosmochemist John Wasson curates UCLA’s meteorite collection, the largest on the West Coast with more than 2500 samples from about 1500 different meteorites. It is the fifth largest collection of meteorites in the United States and the second largest housed at a university. Click here to read more.